I LOVE it too! My bookmarks were on overload and I forgot about pretty much everything. The organization and pictures make me giddy. I am trying to understand it. Is there a Pinterest tutorial? I love your blog. Thanks for all you share. 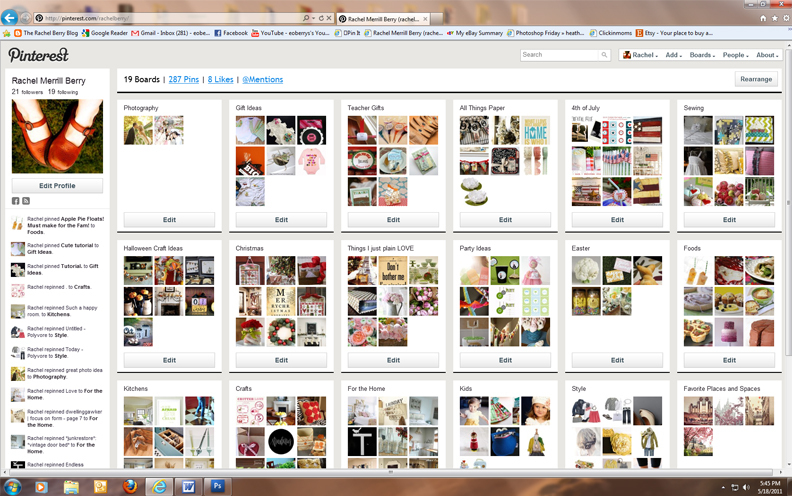 I've seen several blogs mention Pinterest, but none that really explained what it is. I think I would love it (and so would my bookmarks folder!). I'd love an invite...awatson87 at gmail dot com. I've tried to get on this site before, but have been stuck on waiting list limbo. THANKS!! i would love an invite! thanks!! I've seen bits and pieces of Pinterest, but after really looking around, I'm hooked. It looks awesome! Exactly what I need! Thanks. I already pin, but I would love to follow you! Is there a link to your boards? Please, please, please send me an invite. I'm salivating over this organizational tool! thanks for the great tip! I O U big time!!!! Oh my gosh! I love looking at pinterest for inspiration but wasn't sure how to get started with my own! I would love an invite from you! Thank you so much in advance! I would love an invite! Thanks so much in advance! I am just coming across your blog. I absolutly LOVE it. I'm a teacher and my summer break has just begun. Thank GOD because I was up til 2:00am going through your blog! I would love an invite to Pinning. Its just what I need! Thanks for all your hard work and sharing your wonderful talent with the rest of us "want-to-bes"